This release comes wrapped in a unique packaging. It’s a box, made of pure concrete, without any fixture, or opening. The only way to get to its contents is, literally, breaking the box. Our suggestion is to use a hammer, but obviously any object of your choice will do the job. But since you can break it only once, you’d better choose your tool carefully! We can all reach the ever-new, and the ever-same, at the click of a mouse. 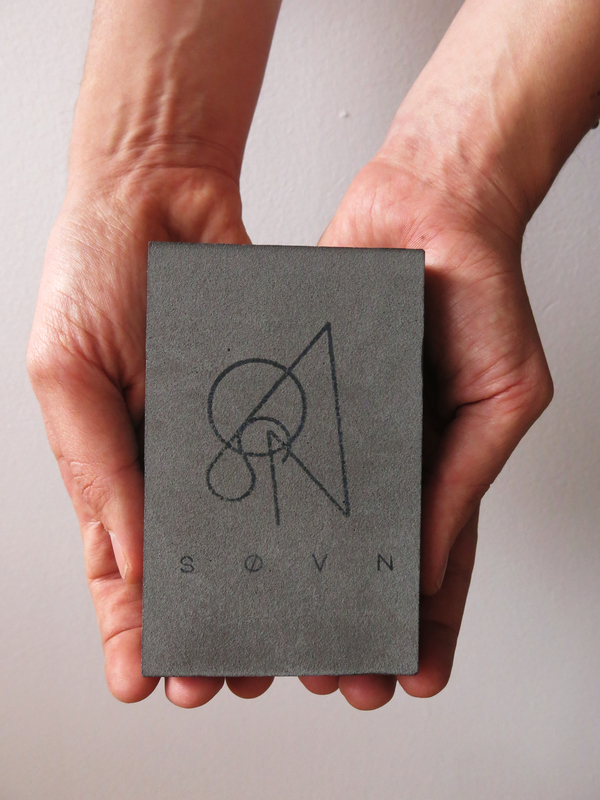 However, SØVN firmly believes that authenticity comes from uniqueness: from offering alternatives to what can be reached immediately. The packaging itself, just as the music within, becomes something to experiment with. Its borders can be stretched. A concrete box you have to break in order to get to the music that it contains, is a remembrance of the ephemeral, potentially frail nature of our social conventions. Music, and its support, are not isolated from the passage of time. On the contrary, they are creators, and witnesses, of our time. The concept, the design and the realization of the packaging have been shaped together with the forward-looking designer and artist LE KUTSCH. Music has always resonated within me since my first memories. It was like a sensory overload made by sonic gestures and voices. Because of those blurry mementos I tried, for this album, to recreate that feeling recording a lot of vocal material and using that as liquid and sculptural contents. Mostly of the choirs featured on tracks like ‘A Lazarus Taxon’, ‘Tar-Feather’ and ‘Borderline’ surface like tiny fragments, whose governing creative principle is digitally pounding source material beyond recognition as I am moulding distorted drones. For this record, I had no expectations, like an empty mind, la sort of third-eye kind of zones. It was a lot of splicing and mixing, like a whole month just gluing things together. It was also maddening though: listening to these tracks in the studio, alone and at high volume for days until I totally lost my mind between crecendos and layers of sound. After all, ‘The Memory Fog’ navigates harmonies and digitally laminated melodies through distorted and harsh waves of sound. I like to think of it as a creature beyond the spectrum of seeing and hearing. All songs are written and produced by B. Sres.